I am obsessed with this song. This literally makes everything better because bacon makes everything better. Like, seriously? 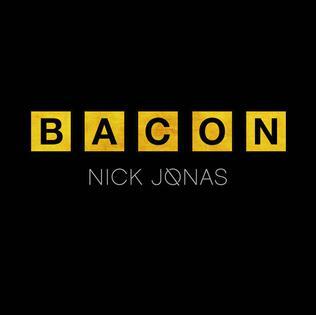 Nick Jonas made a song about bacon and it is incredible, let's be honest. However, I'm not so keen on Ty Dolla $ign's addition to the song, he totally fades into the background. I previously wrote up a review of his whole album "Last Year Was Complicated" that includes this song for Outlet Magazine. Watch Nick Jonas in a greasy diner singing about "Bacon" as he shares the food item with other customers in the restaurant in this music video for his song featuring Ty Dolla $ign. Nick Jonas is best known for being one-third of The Jonas Brothers. He was also the lead singer of Nick Jonas and the Administration. He is doing amazingly well as a solo artist, bringing out brilliant hits that we all love. This song should've been an international smash and was one of my favourites from his most recent album. I just can't believe there is a song about bacon and it is amazingly catchy and always makes the day bright. The song acted as the second single from the album and barely charted anywhere. Ty Dolla $ign features on the track, his real name is Tyrone Griffin Jr. He has yet to have a solo UK chart hit but made it big over here in a collaboration with Fifth Harmony. He continues to make waves over here, so I'm sure it won't be long until he has an international hit. It was written by Nick Jonas, Tyrone Griffin Jr., Priscilla Renea, and Nolan Lambroza. Directed by Black Coffee, the music video is a pure performance piece set in a diner as part of a subtle narrative. Nick Jonas looks like he is in his element, loving every single minute of it. Chord Overstreet appears in the visual as well. The opening sees Nick Jonas in an American diner, which is actually Ted's Frostop vintage diner in New Orleans. The entire visual takes place here. There's bacon being served aplenty as he navigates around the diner singing, dancing, and taking selfies with his mates; as well as eating bacon - obviously. Ty Dolla $ign appears on a TV, he does his rap in a separate scene with girls and two cars bouncing on hydraulics. It's an easily forgettable scene and you soon forget it even happened as Nick Jonas jumps back in. Overall, the video is totally memorable because you never expect to see a music video about bacon. 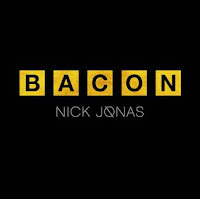 Nick Jonas even jumps into the kitchen and fries some bacon and serves it out. This is how much he loves bacon; for me, it looks way too crispy; I like my bacon to be just cooked, but to be fair, I'd totally go to that diner! It's a great relatable concept, but Ty Dolla $ign lets it down if you even remember that scene.